It's a moveable playground at the library! What do you imagine creating: a castle, a slide, a tunnel? 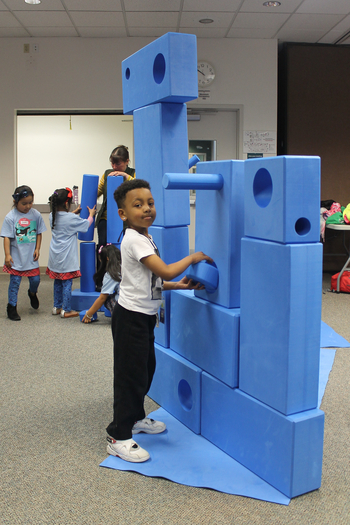 Kids can build it with our BIG blue foam blocks. Best for preschool and kindergarten. Built in 1979, expanded / renovated 1995. Learn about the history of Sumner Pierce County Library. Bilingual Story Time - Come play and learn!